At least one blog reader will be very happy as UMass releases the start times for the 2018 season. Eleven Sports will again provide the coverage. Mike Traini of "Fight Massachusetts" has coverage of the news release. HERO Sports says the Liberty Flames are poised to open a thrilling new chapter in their football history. "If the Flames maximize their talent and catch a few breaks, a seven- to eight-win campaign (or more) during its transitional year is entirely doable". That may be a little optimistic, as the Flames went 6-5 in the Big South last year and lost to Jacksonville State, St Francis and Kennesaw State. FBS Schedules has a post on seven national championship rematches in 2018. UMass Georgia Southern is one of them. Athlon Sports looks at the over-and-under for the SEC including Minutemen opponent Georgia. Duquesne gets picked 2nd in the Northeast Conference coaches poll. Boston College's A.J. Dillon is picked the ACC's preseason player-of-the-year. UConn has been picked fifth in the AAC's East Division. Iowa DT Brady Reiff Arrested After Mistaking Police Car for Uber While Drunk. P.S. Can't wait for kickoff. I'm an alum outside Boston who's planning to attend at least the USF game on campus and the BYU game at Gilette. USF has to be one of the best teams to ever agree to play in Amherst? It seems there are an awful lot of quarterbacks in camp (7 or 8) and not many experienced defensive linemen. How did Whipple let this happen? That's a committment of quite a few scholarships for a single postion.Obviously only one quarterback at a time can play-the rest just watch.Quarterback obsession!What about the defense? Ah, yes. USF is likely to be a top-25 ranked club when they visit on October 6th. Was BC ever nationally ranked when they visited us? I don't think so, but I'm sure someone will know. The Bulls play Elon, Georgia Tech, Big Ten bottom feeder Illinois and AAC bottom ranked East Carolina before playing UMass. They should be undefeated. If they can beat Houston and UCF, they could go 12-0. In 1982 Flutie and BC came to Amherst. I assume they were ranked that year. Although our team was emaciated with a ton of injuries (we were pretty much broken down), it was 14-14 at halftime. We eventually ran out of gas and lost 34-21. I assume if healthy, we could have pulled off the upset. Two things: I was at the '82 game and watched Pearson run through the BC defense. One of the very few times I ever saw McGuirk SRO as the game was hyped in the Boston press. Wild game. 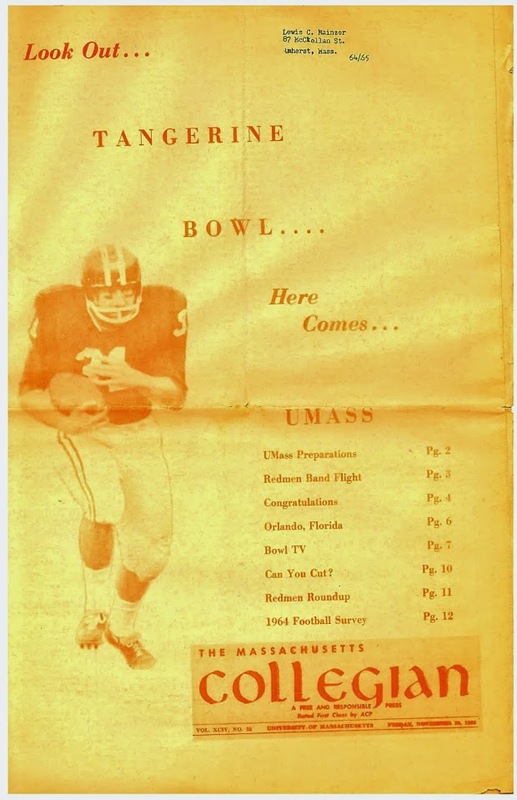 Flutie was on the the rise but they were not ranked at that time. Great inspiration and maybe make tee-shirts with team on the back in their boat! Go Minutemen. 1. is we had so many injuries we had a few guys from offense playing defense just to fill all the positional holes. 2. There was +/- 2 minutes left in the 1st half we were up 14-7 and 4th and 1 on the 50 yd line. Coach Pick elected to go for it. We didn’t get it and next play Flutie threw a 50 yd bomb to tie it up at halftime. 3. They were 8-3 that yr and we were 5-6 and we still woulda, coulda, shoulda won.